Everything looks good! What should I try first? First-time visitors to New York are often disappointed by the size – and no, we’re not talking about the buildings. They recall iconic movies and advertisements in which good old boys and gals chow down on mountains of brunch, lunch and triple chocolate crunch – before their trip envisaging a level of gorging not seen since the height of the Roman Empire. But instead they’re confronted by the Big Apple’s decidedly small portions. Slim-lined, low carb, reduced fat, zero sugar and size zero – this isn’t the diabetes on a plate they signed up for. But what any hearty American will tell you is that for the really big portions, you need to go to Texas – which the last time we checked was 8,000 km away. Well, not anymore! 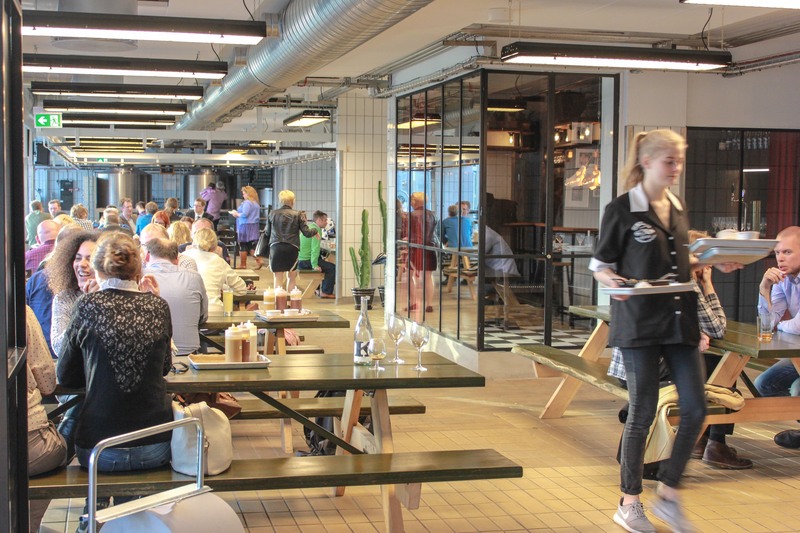 Last month, the Lone Star State moved all the way to the fashionable Meatpacking District of Copenhagen. 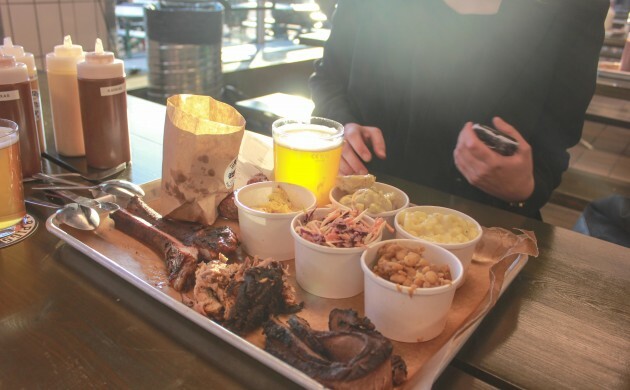 Warpigs, a joint initiative between local brewer Mikkeller beer and Chicago brew pub Three Floyds, serves Texas BBQ meat with home brews. 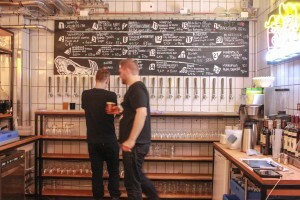 It opened four weeks ago in Vesterbro and is already a huge success. It’s the ultimate American restaurant, but without any of the clichés that insist on reminding you you’re on US soil. It prefers to let its food do the talking with its ‘meet me in the middle’ combo of slow food and fast food. You get excellent quality in a fast way. Nothing tops that. The process starts in the queue as I read the tantalising menu. Everything sounds tasty and I want to try it all. But the black boards aren’t the only visual aid as I can also see the diners and the chefs. Humankind’s carnivorous nature is on full display as I watch the customers attack the ‘carcass’ the moment it’s served to them on trays, while the open kitchen lends a view of the other end of the food chain. This kind of transparency always wins my confidence, even if I don’t over-scrutinise their work! Besides, it complements the butcher’s look of its environment, staying true to the Kødbyen district. As starters, we had the hush puppies (75kr). The name immediately caught my attention, so I asked what it was and it sounded delicious: cornbread balls fried in a pimento cheese sauce that goes perfectly with them. The name dates back to 1899 when the dish was used by hunters to calm their dogs during cook-outs. Over the years it has got so popular that hush puppies have now become a trademark in the Southern United States. 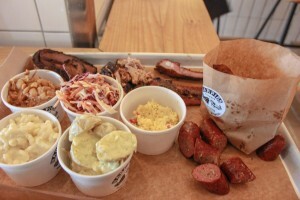 We follow with the beef brisket (80-155kr) and pork ribs (85kr). Smoked for 14 hours, the tender, dreamy brisket is the must-have on the menu. Every bite melts in your mouth. The ribs are sweet and spicy, with a pink pig colour that will make you eat until there is only bone left. In short, the best hand-eating ribs experience ever. Along with the sides (30-75kr) – coleslaw, potato salad and my personal favourite, the burnt-end baked beans that reminded me of my adventures through the States – we didn’t have room to try the home-baked Mac n’ Cheese (125kr). However, I hear it’s great for sharing and is on my wish-list for the next visit. Warpigs might not sell fries, but with dishes like this, and free soda refills, your kids will love you for taking them along – and particularly when they see what’s for dessert: Bourbon Pecan Pie (70kr). We were bursting, but we still found room. 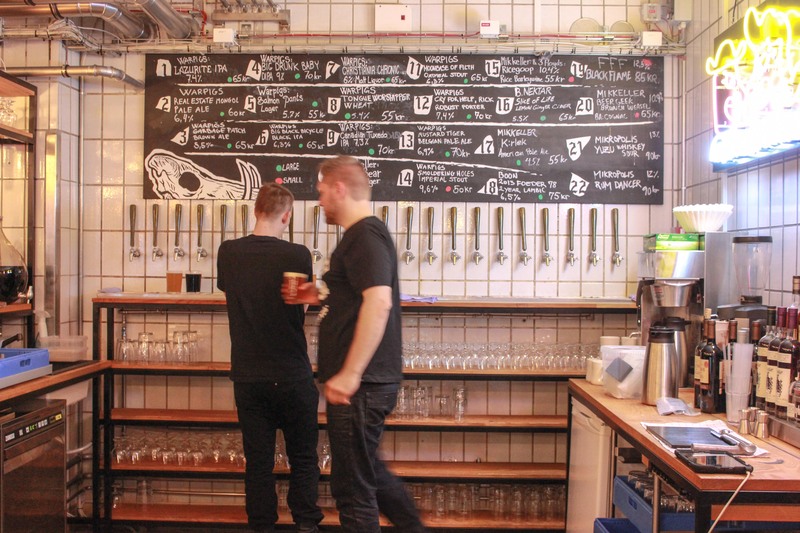 Warpigs wants to become the best brew pub in the world, and trust me, they are already getting there. The beer is magical. Every sip I took was a delight. It really opened my eyes, and other senses, to what I have been missing out on. It’s difficult to find the words, so let me just give you some recommendations: Christiania Chronic (light and smooth), Big Drunk Baby (exquisite aroma), Tongue Worshipper (seriously, who needs a boyfriend?) and Ricegoop (10.4 percent of alcohol, need I say more). And if you’re not much of a beer drinker, there’s still plenty of choice, including Slice of Life (lemon ginger cider) and the Mikropolis draft cocktails: Yuzu Whiskey Sour and Rum Dancer. 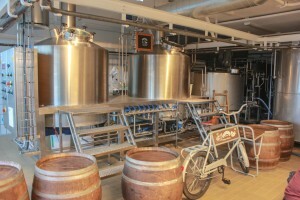 What’s more, some days of the week you can actually watch them brew the beer (from 12-5pm on most weekdays). Napoleon once said that an army marches on its stomach, but history is full of cases of soldiers feeding on their battle horses and still losing. With Warpigs on board they would be invincible. But seriously, make sure you’re hungry – as the Danes say, only go if you’re ‘fit to fight’ and prepared to eat a like a pig. Warpigs reminds me of the laidback barbecues I enjoyed growing up in South America. It was as if the bonfire aroma that hit me as I entered the premises took me across oceans and back in time. And I’m sure that once you’ve tried their delicious brews and tender briskets, you’ll join me in regarding Warpigs as your second home.